Skai Jackson is an American actress best known for portraying the character of Zuri Ross in several television shows including Jessie and Bunk’d. Born on April 8, 2002, her professional career began as a child model and after appearing in numerous commercials, she landed her first major acting role in 2007 independent film, Liberty Kid. 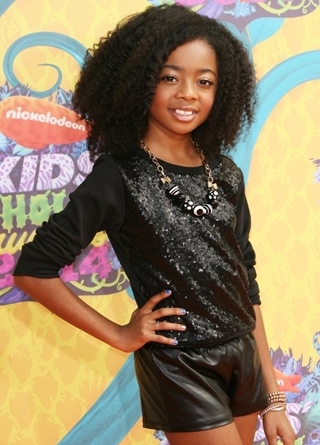 After this, Skai has gone on to appear in a few more movies till now including The Rebound, The Smurfs and G.I. Joe: Retaliation. The major source of Jackson’s success has been the television industry in which she entered during 2010 and first rose to prominence in 2011 with her role as Little Fish in Bubble Guppies. Her big-break came during the same year when she began portraying the main character of Zuri Ross in the hit TV series, Jessie. 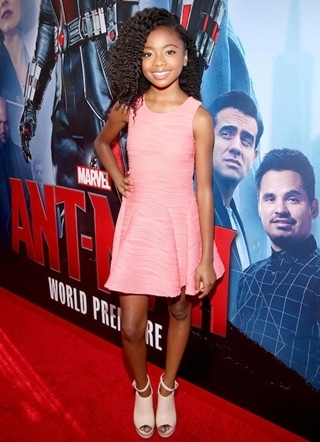 Since then, Skai Jackson has made appearances in several more television shows such as Austin & Ally, Jessie’s Aloha-holidays with Parker and Joey, K.C. Undercover and Bunk’d. Siblings: She has one brother and one sister. Check the complete Skai Jackson body measurements including the actress height, weight and shoe size. In her spare time, Skai likes to do fashion designing. 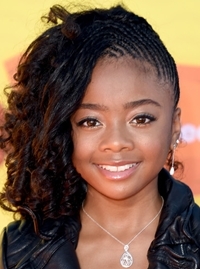 Skai Jackson first entered the entertainment industry when she was just 9 months old. She has played the character of Zuri Ross in several TV shows like Austin & Ally, Jessie, Ultimate Spider-Man, Jessie’s Aloha-holidays with Parker and Joey, K.C. Undercover and Bunk’d. this person is very bright indvidual she has started at 10 months old now that is one determined child at a very young age indeed and yet she has alot of potential when she grows up indeed and yet she desigins her own clothes man this might be bright future as a fashion designer at yet multiple tv series and movies how can she be a child and have fun and not just being a actress for many things there a lot of things she can be in the future just let her be a child and be free.